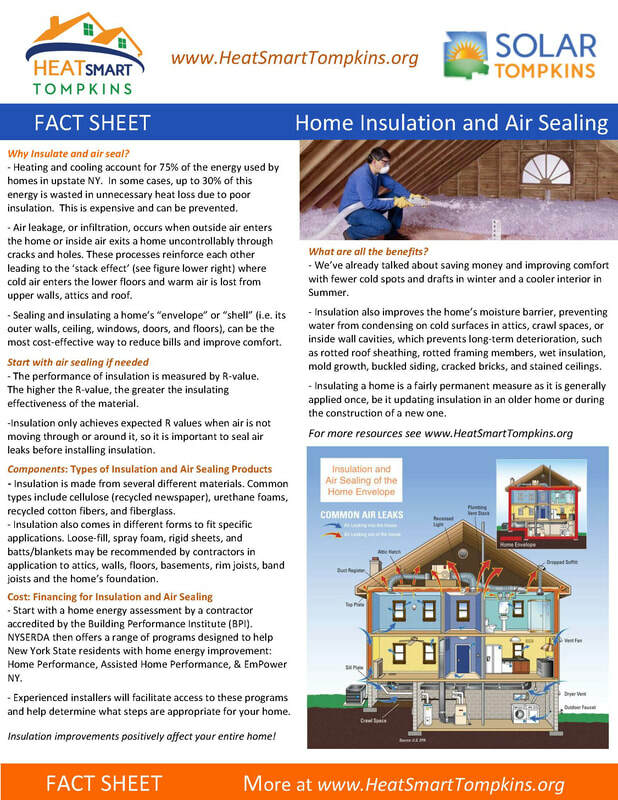 Why Insulate and air seal? Heating and cooling account for 75% of the energy used by homes in upstate NY. In some cases, up to 30% of this energy is wasted in unnecessary heat loss due to poor insulation. This is expensive and can be prevented. 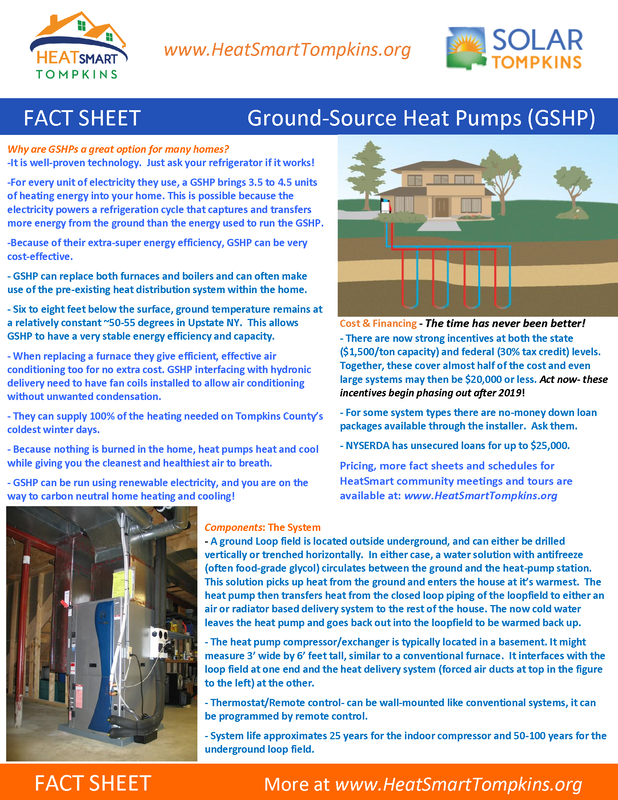 Why are GSHPs a great option for many homes? It is well-proven technology. Just ask your refrigerator if it works! Provide reliable hot water for your home. Reduce energy use (almost 20% of all home energy use goes to heat water). 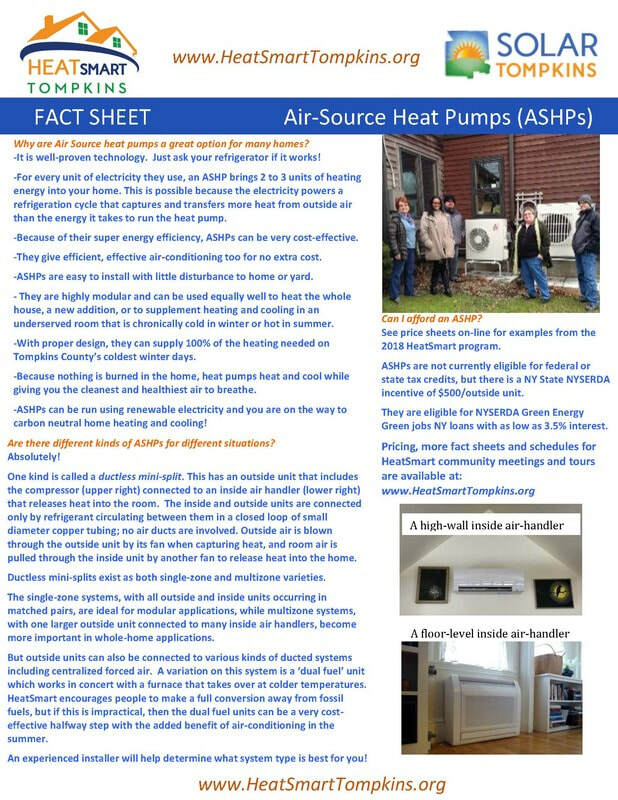 Why are Air Source heat pumps a great option for many homes?